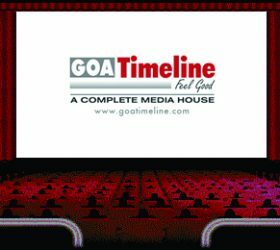 GoaTimeline undertakes clients requests locally from Goa and internationally across the globe for Indoor and Outdoor Advertising. 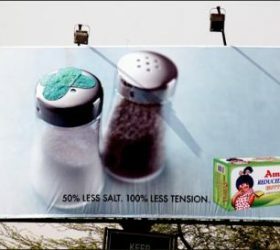 When you are looking at visibility for your brand, there is nothing more effective than out of home advertising. 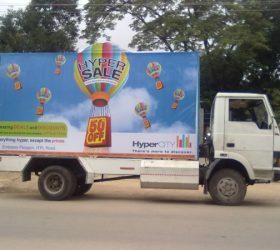 Out of home advertising can be done in two ways – outdoor advertising and indoor advertising. The two methods only differ in placement, and the choice of medium can be made depending on the type of the product and the targeted consumer base. 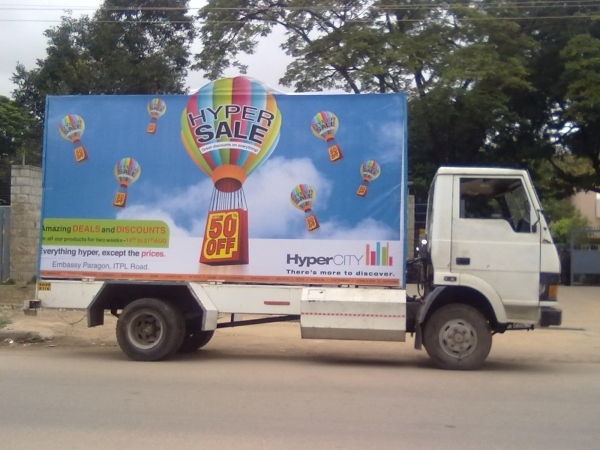 Outdoor advertising refers to the placement of hoardings, banners, sign-boards etc. in open spaces such as next to a busy highway, at a petrol pump, or near a tourist spot. 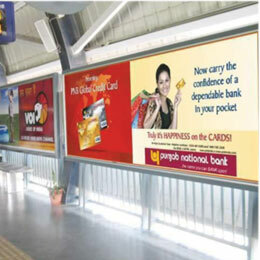 Such placement makes your advertisement inescapable, giving you round the clock visibility. It is visible to each and every person passing on that route, and for the routine commuters, it also adds an element of repetition. Indoor advertising, on the other hand, aims to reach out to a specific section of people, based on their lifestyle and preferences. For example, advertising for your clothing line in a shopping mall will give your brand instant recognition in the eyes of the shoppers who see it. 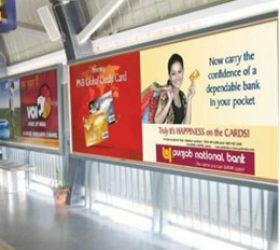 Some popular forms of indoor advertising such as restroom advertising in malls, advertising in night clubs, shopping malls etc. force the consumer to look at your advertisement again and again, leaving a strong impression on their mind. 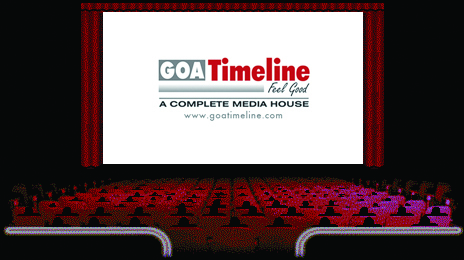 At GoaTimeline, we provide you a full range of services for advertising in Goa. 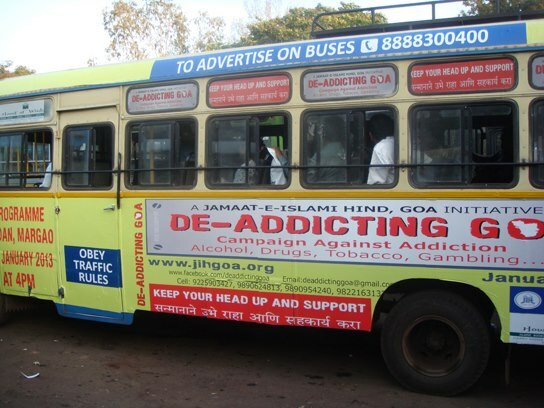 We are experienced in indoor advertising and outdoor advertising in Goa and across India. 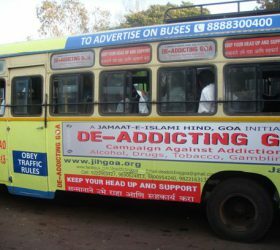 We engage ourselves with our clients from the beginning of the process – helping them choose the right medium for their advertisements, creating attractive and appealing hoardings, sign boards etc. 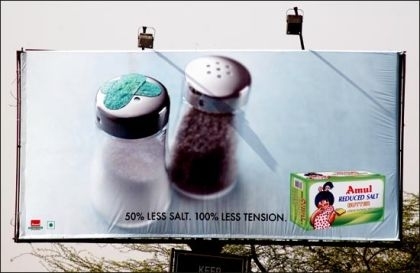 for their product, and providing the perfect placement to their advertisement for optimal viewing by the consumers.